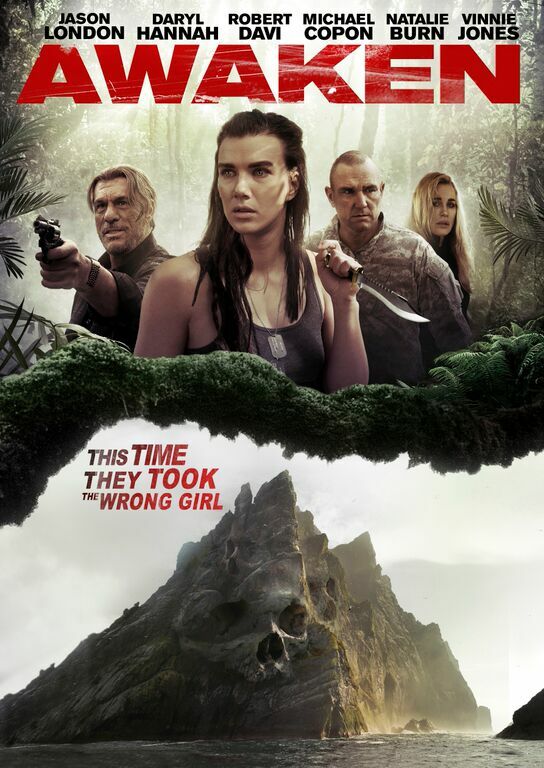 AWAKEN deals with a Jennifer Connelly doppelganger (Natalie Burn) who wakes up on an island with a bunch of D list actors (Robert Davi, Edward Furlong among them) and must unravel the mystery of why they were abducted and escape their captors. The audience, however, will have this mystery solved LONG before any of the characters do. This by-the-numbers action nonsense is available for streaming on Netflix, VUDU, and Amazon, but as always, you're better off leaving the cinematic organ harvesting to us and finding some other island to clean out your system with.